For over 60 years, Lamulle Construction has been the industry leader in the driving of piles and construction of sills for elevated foundations. We are a licensed heavy construction contractor specializing in marine construction for private homes and businesses. We not only offer the highest level of customer service and experience, but also the greatest craftsmanship combined with competitive prices. Today, our team is made up of 25 crewmembers and 8 administrators. We invite you to take a look at our online portfolio and contact us today to see how we may help you. 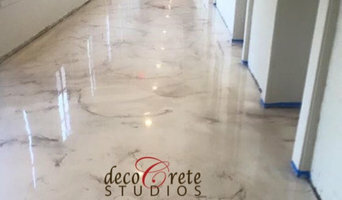 Decorative concrete designers who create and install: counter tops, sinks, metallic epoxies, overlays, acid statins and dyes, polished concrete and more. 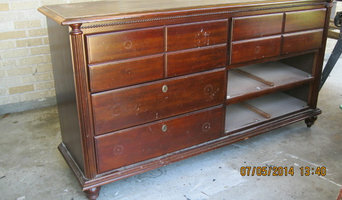 I specialize in customizing furniture by painting, staining, faux finishes and generally re-loving pieces to your specifications. This can be done on site or I can pick up and deliver to you. Since 1987, Tony's Tinting has been serving south Louisiana and the River Region. Having started with tinting & signs, we've grown to a company that provides all the necessities for your business in the fast lane. We are a family owned business that believes in providing the best services at the best prices...and FAST! Whether big or small, our knowledgeable and friendly staff can be depended upon to get the job done right. Call us today and find out for yourself! The Stairway Shop was established as a one stop shop for all things stair related! We specialize in traditional stairs, spiral stairs, railing systems, attic ladders, stair parts, and library ladders. And, not only do we sell the highest quality stair products, we also offer custom stair design solutions, as well as building and installation services. We have two store locations offering professional customer service to assist you with any questions, one in New Orleans, LA and one in Columbus, OH. Each store location also has experienced on staff carpenters and builders to install our products, or build your new stair from the ground up! Established in 1915, Standard Glass is a family-owned and operated business serving Greater New Orleans for over 95 years. Whether you are a homeowner, contractor or interior designer, Standard Glass is the one stop resource for all your glass and mirror needs. From custom shower & tub enclosures to residential mirrors and same day glass cutting, we offer a unique and diverse range of services. No job is too small or big. Call us today at 504-822-3255 to request a free onsite estimate or to learn more about our services. Architectural/Structural metal, design, installation of metal staircases, railings, furniture, range hoods,drive/ walk gates, etc. 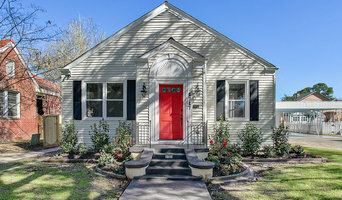 Acme House Raising is one of the best home elevation and shoring businesses in New Orleans, and across Louisiana. We have an experienced team of experts that have been raising homes in South Louisiana for a long time. We use only the best, safest, and most reliable equipment on the market and a professional staff committed to helping you navigate the complicated network of applications for government funding. Exquisite Stone has successfully fabricated & installed natural and engineered stone in New Orleans and Southeast Louisiana for over 14 years. Recently, we have grown our business by adding cabinets. Whether you’re looking for a team of Saint Benedict, LA professionals or a handyman for a small renovation, you’ll find dozens of professional profiles and contact information for specialty contractors here on Houzz. Here are some related professionals and vendors to complement the work of specialty contractors: General Contractors, Landscape Contractors, Architects & Building Designers, Interior Designers & Decorators, Kitchen & Bath Designers. Let’s say you want to install custom wood flooring in your dining room, and you’ve found a Saint Benedict, LA company with excellent reviews. Next you’ll want to contact the company and make some inquiries. Find specialty contractors on Houzz. Look in the Professionals section of our website under Saint Benedict, LA specialty contractors, then select the nearest metro area for a contractor. 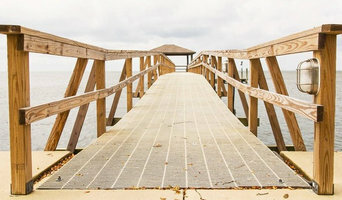 You can also look through Louisiana photos of completed projects to see how a contractor might approach design challenges.